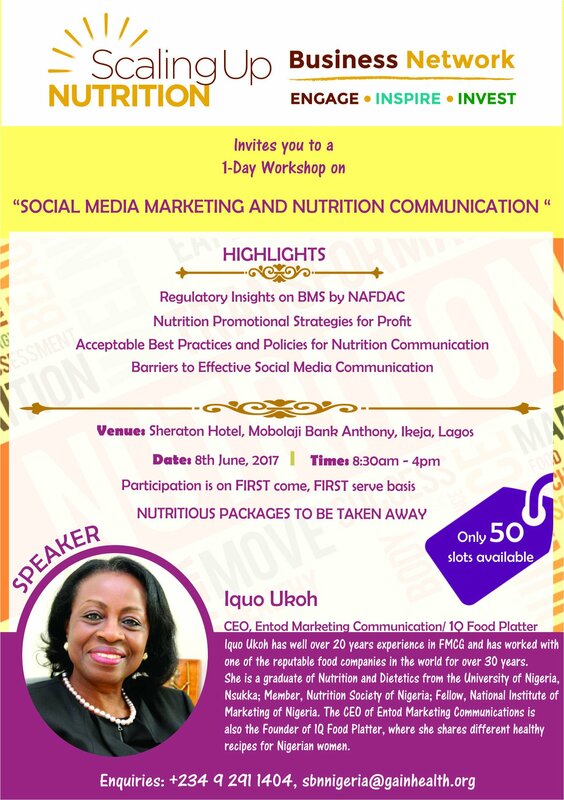 On 8 June 2017, the SUN Business Network in Nigeria held a 1-day workshop on “Nutrition Communication and Social Media Marketing” to build the capacity of Network members to deliver good nutrition messages and grow their businesses. 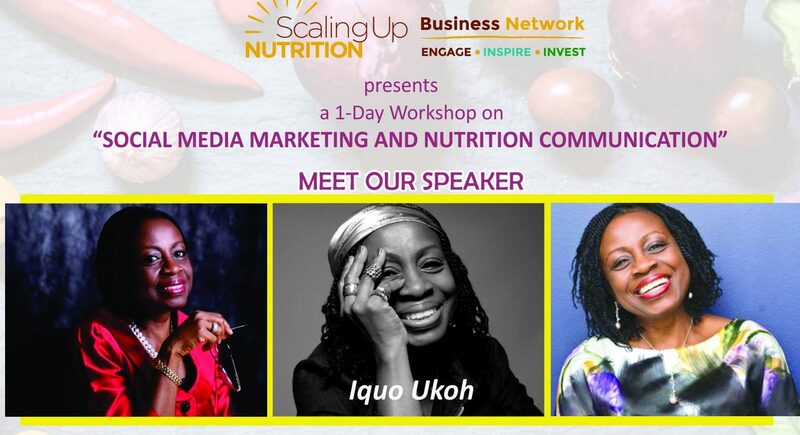 The workshop comes at a time where the increase in the use of the internet and social media, especially on information relating to food and nutritional products, has become imperative to strengthen nutrition education with the guidance of communication tools and strategies. Officials from the National Agency for Food and Drug Administration and Control (NAFDAC), Standard Organization of Nigeria (SON) and Federal Ministry of Health provided regulatory perspectives on food related policies including the International Code of Marketing of Breast Milk Substitutes (BMS). The regulators also provided clarity to participants on the expectations of the government from product development to product registration as well as communication to consumers. 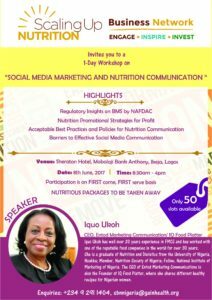 The lead speaker, Mrs. Iquo Ukoh, CEO of Entod Marketing/1Q Food Platter, engaged the participants on the various behavioural patterns in food purchase and food trends that have changed among consumers in recent years; a situation which she said was caused to a large extent by socio-environmental influences on consumer choices. 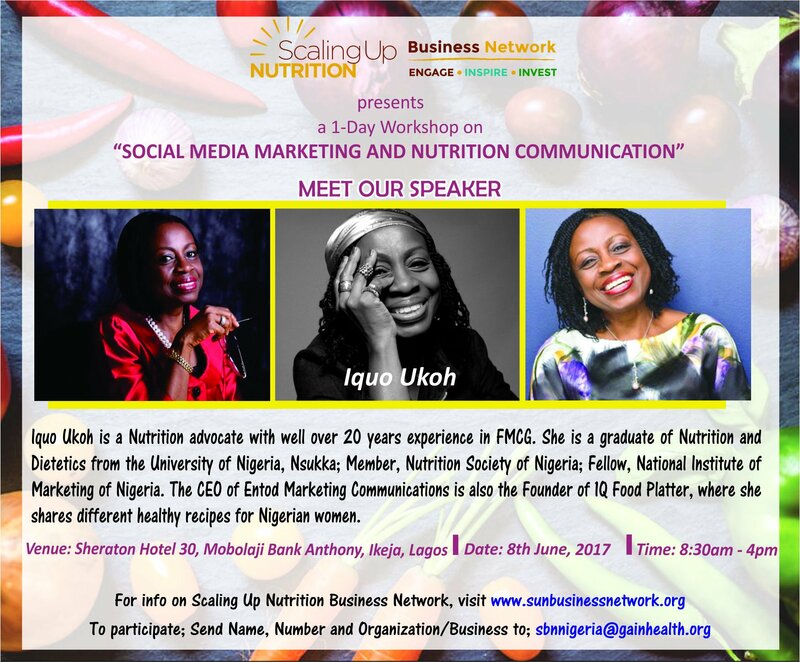 Uduak Igbeka, Coordinator of SUN Business Network in Nigeria, stressed that good nutrition messages can be easily accessed from mobile phones and that through the network, they will continue to contribute to a collective voice and community for nutrition in Nigeria’s private sector, which does not currently exist.